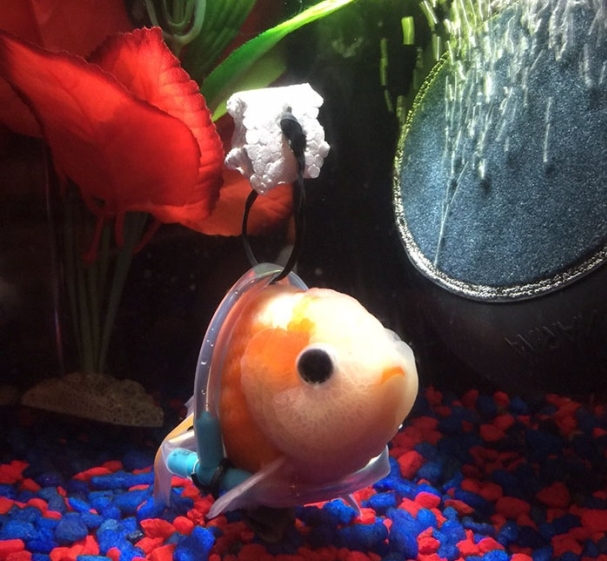 Pet goldfish was suffering from swim bladder disease, a disorder that prevents a goldfish from controlling its buoyancy in the water. 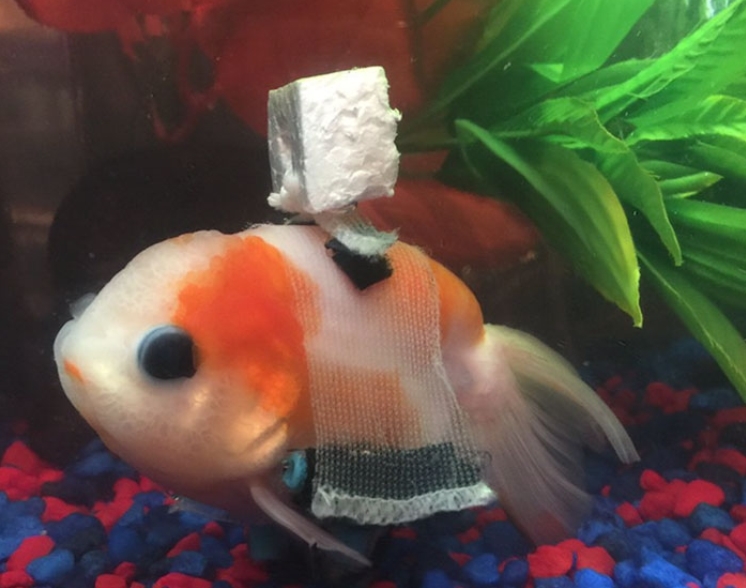 Taylor Dean, a 19-year-old Youtuber who creates educational animal videos, just shared a picture of a goldfish in a ‘wheelchair’ – and the Internet is going crazy over it. It was sent to her by a friend named Derek who works in a local aquarium shop. The guy recently had a customer bring in their pet goldfish that was suffering from swim bladder disease, a condition that makes a fish unable to control its buoyancy in the water. 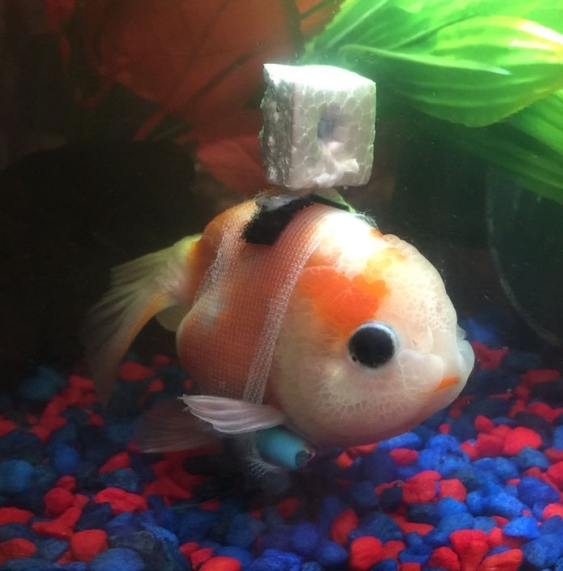 As diet adjustments and water treatments were ineffective, Derek decided to go an extra mile to help the little floating fellow by creating a goldfish ‘wheelchair’. 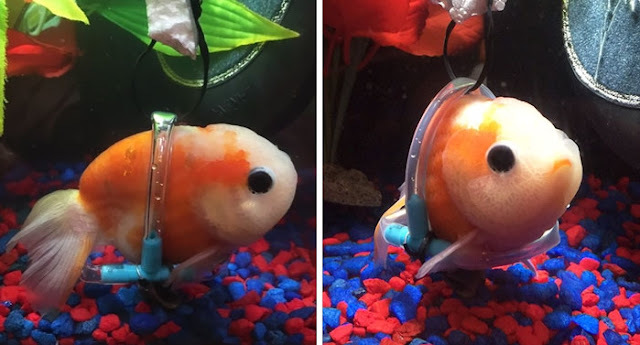 “I got some airline tubing that people usually use in their tank and just placed it around the goldfish. I added some valves to the bottom of it, which acted as a ‘chair’ to prop him up… [Then] added weights to the bottom of the ‘chair’ and something to keep him afloat on top (styrofoam),” Derek told Buzzfeed. “You are teaching people that all animals, no matter their handicap, deserve love and support to live a normal life,” someone wrote. 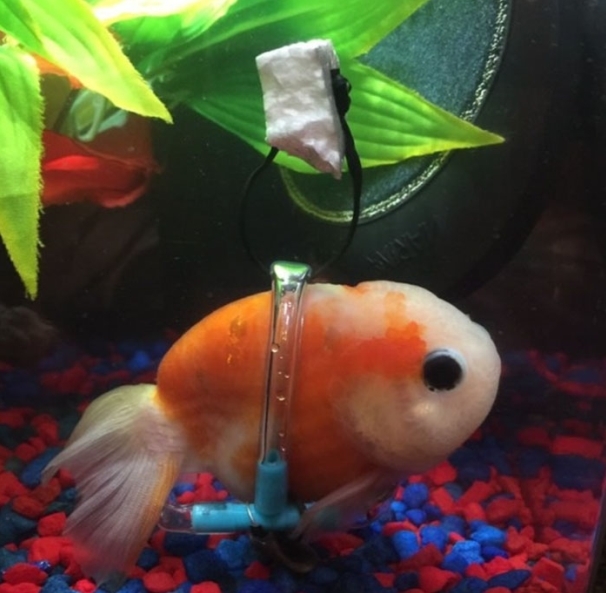 Responses to "Sick Fish Couldn’t Stay Afloat, So This Guy Built Him A Tiny Wheelchair "
That fish is so cute!